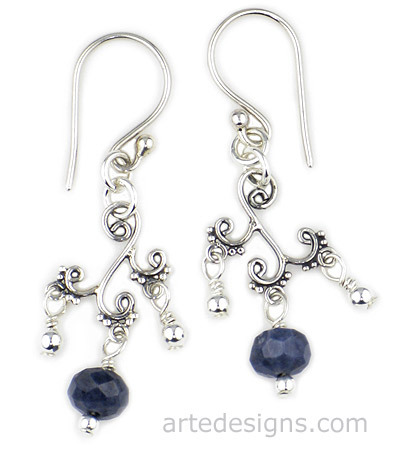 Deep blue like the evening sky, these flirty sapphire earrings are in constant motion. Sapphire is believed to help bring inner peace by releasing unwanted thoughts and improving concentration. It is also believed to help encourage loyalty. Approximately 1.50 inches long. Sterling silver wires.